Grand Park Xian mirrors the historic architecture of the adjacent ancient City Wall and located in the heart of Xi'an city center, the hotel is surrounded by major shopping malls, morden office buildings and world-renowned scenic spots. Explore the interactive map below for some of our recommendations on things to do near Grand Park Xian. 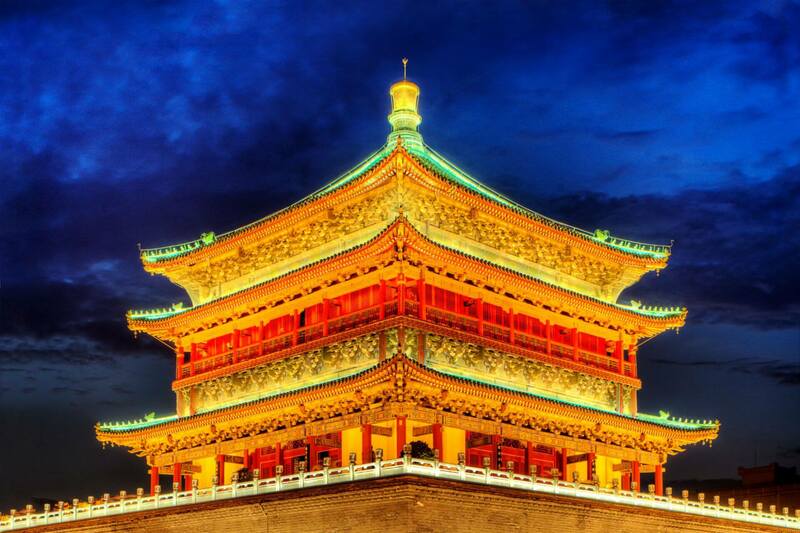 Book a stay at one of the top hotels in Xi An and visit some of the best attractions in Xian such as the Bell Tower, City Wall, Dayan Pagoda and Terra Cotta Warriors. Take Airport Express to the Zhu Hong Road. Continue onto Zhu Hong Road straight onto Xing Huo Road. Follow Xing Huo Road and Bei Duan Huan Cheng West Road. Journey takes approximately 45 minutes. Journey takes approximately 90 minutes. Continue straight onto Bei Duan Huan Cheng West Road. Follow by 2 minutes’ walk to the hotel.